As some of you may have seen on the twitters, I upgraded to a glorious 27” iMac i7 with 8GB RAM yesterday. Beyond the obviously ho-boy’ness of this beauty, and the screamin’ speed (other Mac is a 15” MacBook Pro 2.93Ghz Core2Duo w/ 4GB RAM, so no slouch by any stretch), combining this iMac with Aperture 3.0.1 has seen a phenomenally dramatic speed improvement. 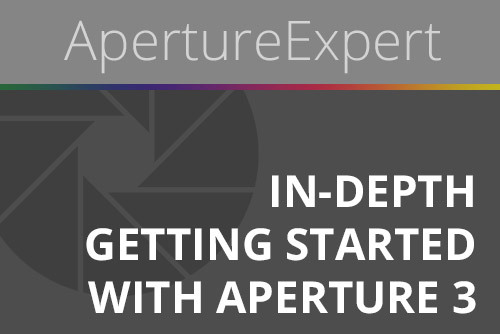 I’ve had this large, languishing Aperture library that spanned from 1997 to 2009 (in 2009 I started a new general-purpose library), and have been dreading upgrading that to Aperture 3. My smaller client-specific 17k image library took the better part of a day to upgrade, so this wasn’t looking to be an enjoyable date with destiny with this beast. But with the powerhouse i7 and the purportedly faster Aperture 3.0.1, last night I decided to kick off the upgrade for that beast of a library. I had a backup version of the library (of course) in the event that I just had to pull the plug in the morning and get back to work. I decided to go the plain ol’ traditional route of just (*gasp*) upgrading the library. No fancy importing-to-upgrade, no turning off Faces, no fancy malarky of any sort. I just pointed Aperture and the old library, and said “go”. The only option you have is to process all old images with the new 3.0 processing engine (or not). I turned that off, figuring that since these are such old photos, if and when I decided to re-tweek an image, I’ll just do the upgrade one-by-one. To be completely fair, I did have “Maintain Previews for Project” disabled in the previous library, and hardly any previews actually rendered in there, but still the library file was 83.42GB. So I kicked it off last night, and stuck around to watch the progress bar for a few %. Here’s what I saw. Aperture 3 is a 64-bit app, but many of the plug-ins aren’t yet updated to run in 64-bit. However, lucky lucky me, the SmugMug plug-in by David Holmes is! In fact it appears it was done 10 days ago. Thanks David!